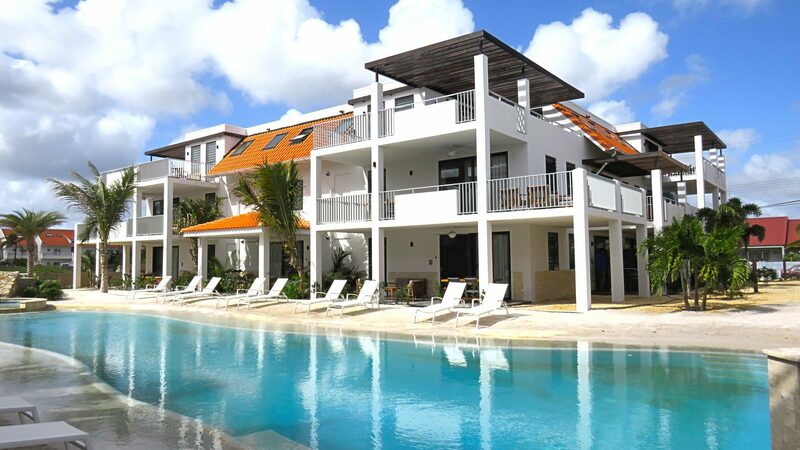 The 'Abundante' is a regally and luxuriously executed penthouse and is situated on the 2nd floor of the complex, meaning you can enjoy a fantastic view of Bonaire from the spacious terrace. The generous living area features a spacious kitchen, equipped with every luxury you can imagine. The master bedroom features an en-suite bathroom with a freestanding bath tub and a separate walk-in shower. The second bedroom is also equipped with an en-suite bathroom. In addition, this type of apartment features a separate guest bathroom. The outdoor area, with its minimal surface of 32 square meters, can only be called quite spacious. Resort Bonaire is brand new. All facilities, like the apartments, the swimming pool and the pool bar are currently under construction. The last phase will reach completion on April 1st 2018. Alles ziet er prachtig uit. January 2019 - Rick E.
January 2019 - Suzanne v.
May 2018 - Deborah N.